The first flight of the ‘new Alitalia’ took off today from New York JFK at 01:35 ‘Zulu time’ - the time conventionally adopted by the aviation industry, corresponding to 02:35 Italian local time - and landed in Milan Malpensa at 10.40. 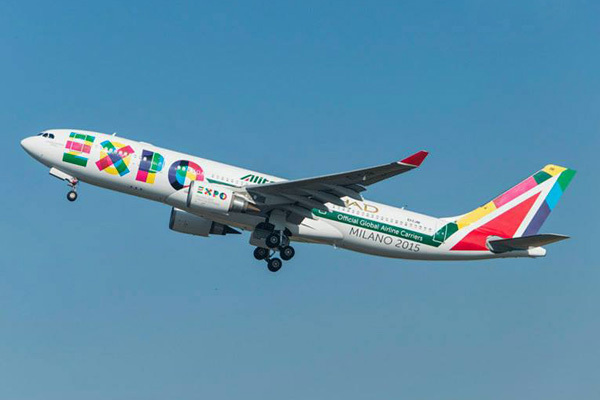 The flight was operated by an Airbus A330 aircraft in the Expo Milano 2015 livery branded Alitalia and Etihad Airways, Official Global Carriers of the most important Italian event of the year. The event will host more than 20 million visitors in Milan between May and October 2015. So begins the new Alitalia, a new airline with a majority Italian ownership and 49 per cent owned by Etihad Airways. Capitan Angelo Pracchi, assisted by first officer Claudio Bencardino, and by Luca Baldo, head of on board services, shared the news of the company’s first flight with the guests on board, who received a Magnifica class amenity kit by designer Salvatore Ferragmo to celebrate the event. 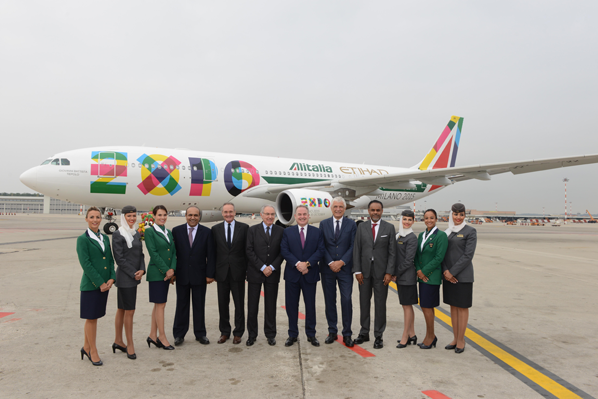 “Today we celebrate the beginning of a new Alitalia,” said Silvano Cassano. “We know we have much work to do, and we will move quickly. “In the spring, Alitalia will resume service to China and in 2015 we will increase service to North America and Latin America. “We will develop a range of new destinations, new services and a fleet with more long-haul aircraft, a new livery and new refurbished aircraft interiors. As of today, Alitalia and Etihad Airways serve 168 destinations with a fleet of 227 of the most advanced aircraft in the world. Combined the two carriers transport more than 35 million passengers a year. The agreement with Etihad Airways provides a greater number of convenient connections through Abu Dhabi’s hub and will allow the development of a whole new network of flights to Asia, the Middle East, Africa and Australia, specifically designed for the leisure and business travellers.